Louisville Kentucky Mortgage Lender for FHA, VA, KHC, USDA and Rural Housing Kentucky Mortgage: WHAT IS THE MINIMUM CREDIT SCORE FOR A KENTUCKY FHA MORTGAGE HOME LOAN APPROVAL? The FHA is introducing new guidelines on loan to value ratios and the minimum credit score required for FHA borrowers in Kentucky. As detailed in a Mortgagee Letter from the Department of Housing and Urban Development (HUD), the following credit requirements will apply for FHA borrowers, effective October 4, 2010. To be eligible for maximum financing, borrowers will need a minimum credit score of 500 or higher. Kentucky FHA Borrowers with a credit score between 500 and 579 will be limited to a loan to value of 90%. A sub 580 FICO credit score borrower will henceforth need to make a 10% minimum down payment on a purchase transaction. All Kentucky FHA borrowers with a credit score below 500 will not be eligible for FHA-insured mortgage financing in Kentucky. HUD’s newly introduced minimum credit score and loan to value requirements will apply to all single family loan programs, except for Reverse Mortgages (Home Equity Conversion Mortgages) and Hope for Homeowners. The new credit requirements are not expected to dramatically change the number of Kentucky FHA mortgage approvals. Get use to the term credit overlays. 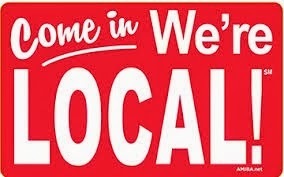 You may call several FHA lenders and a lot of them will tell you that even though FHA will insure lower credit scores, most lenders had already imposed a minimum credit score requirement of 620 or higher for Kentucky FHA borrowers. In limited cases, borrowers with scores between 580 and 639 could still obtain mortgage approval with compensating factors such as large down payment (more than 3.5% minimum), low debt to income ratios, and substantial reserves in the bank with a verifiable pay history of no late payments in the last 12 months of rent and on credit report. A late is considered 30 day late in the credit rating world. Many potential Kentucky FHA borrowers with credit scores below 620 who cannot obtain mortgage approval may be left wondering why this is the case if the FHA has established a minimum score of only 580. 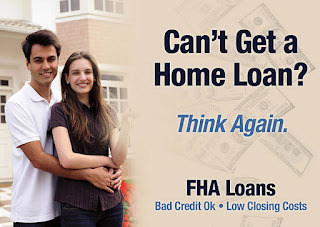 The explanation for this is that the FHA does not make mortgage loans but rather insures FHA loans made by lenders. Despite the FHA insurance, banks do not have an iron clad protection from loss. 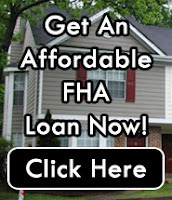 free mortgage pre-approval on FHA loans in Kentucky!